As object-based storage solutions mature with the objective of balancing scale, complexity, metadata management, and cost, key vendors are also evolving their systems, which may complicate your successful navigation of the market. Use the following IDC object-based storage vendor assessment as a tool with which to do just that. 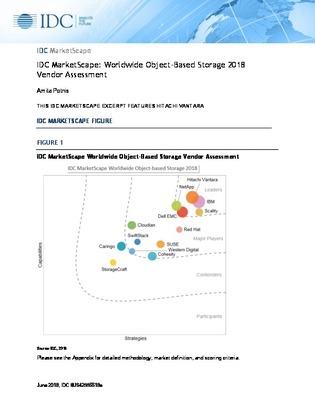 Inside, IDC assesses the strength and weaknesses of one object storage vendor, Hitachi Vantara, and details how to take advantage of such functionality as Amazon S3 compatibility, erasure coding, and replication.